The Bauhaus tablet by Alessi was designed by Marianne Brandt and Helmut Schulze at the Bauhaus in 1928. The tray is made of polished stainless steel and has a diameter of 20.7 cm. The slightly raised edge ensures that nothing slips from the serving tray and gives the object a beautiful frame. Fruit, snacks and other personal items can be stylishly stored and presented on the serving tray. The tray looks good on the side table in front of the sofa, on the sideboard in the living room or on the chest of drawers in the entrance area. The Bauhaus tablet by Alessi was designed by Marianne Brandt and Helmut Schulze at the Bauhaus in 1928. 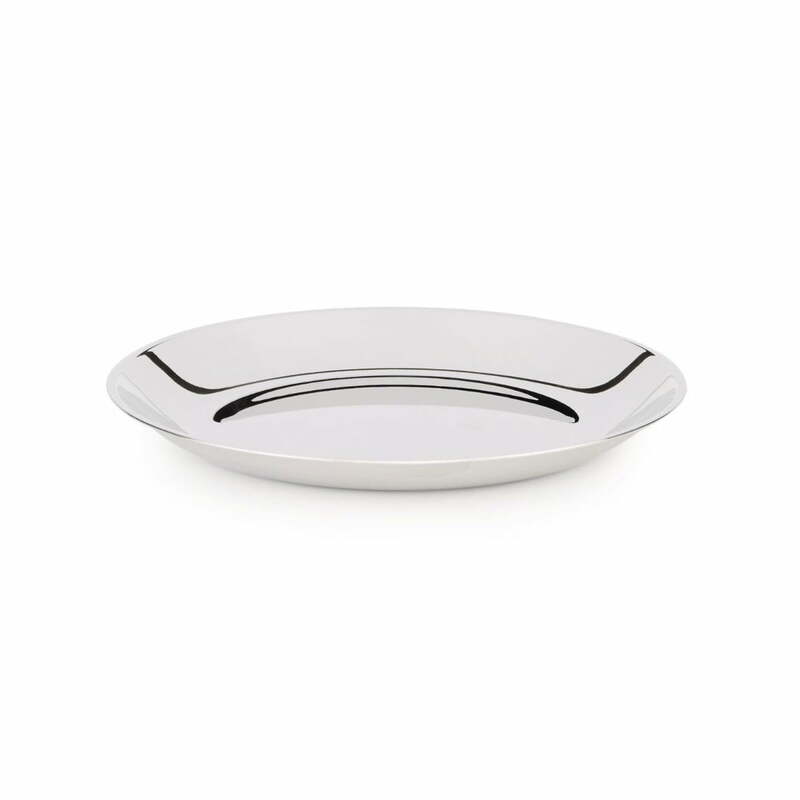 The tray with slightly raised edge is made of polished stainless steel and has a diameter of 20.7 cm.